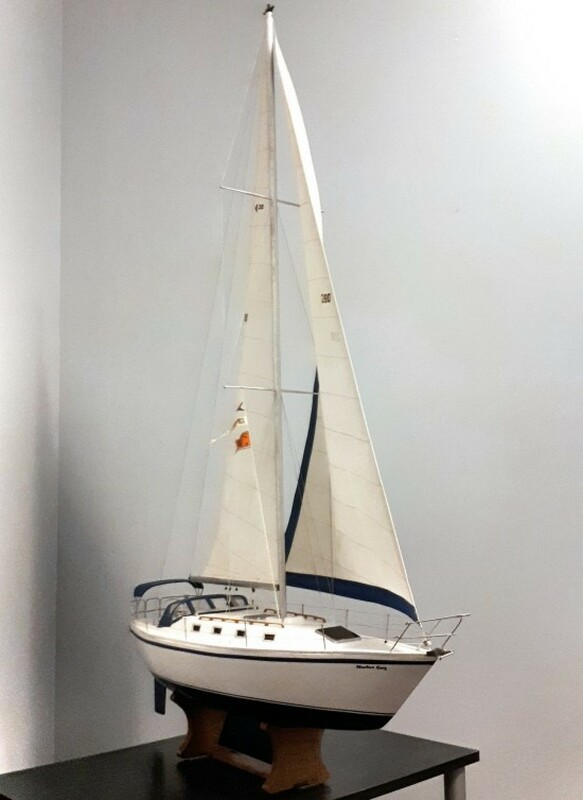 Canadian Sailcraft 36T sailboat model. She stands just under a meter tall. Any model can be made with or without sails, just as to what you prefer.